It’s déjà vu all over again: Although the writers at The A Position made a mess of things predicting the top golf stories of 2011, they’re taking another shot this year. A year ago, when most people were recovering from New Year’s hangovers, the members of the leading golf/travel website were guaranteeing that Rickie Fowler and Dustin Johnson would win majors (they didn’t), the Champions Tour would dissolve (it’s still around, right? ), and that golf would figure out a way to stop losing players (nope, sorry, there go two more). Undeterred, if a bit unhinged, this ragtag bunch of amateur oracles has pulled out its tarot cards, Ouija boards, and soggy tea leaves to try again. 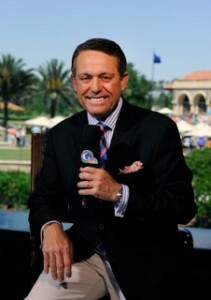 Joining our panel is NBC Sports’ Jimmy Roberts, who interviews the world’s best golfers throughout the year. No surprise, Tiger Woods is the subject of much speculation, as are other players pegged to have breakout years or capture their inaugural major championships. The game’s growth—in players, courses, even colors—is also prime territory for forecasting, as is the ability of everyday golfers to improve (what are the chances of that?). And with the Ryder Cup coming to Medinah in 2012 there’s plenty to see in the stars. Note: Management is not responsible for wagers lost due to even vague adherence to the following. 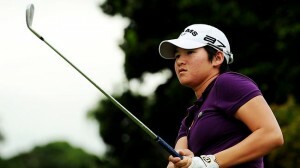 The A Position.com is a network of websites featuring the world’s best golf and travel writers. The term “The A Position” refers to the best place a golfer can land his tee shot. On the web, it refers to the site readers will want to land on for great golf and travel journalism. “How will he do next year?” people ask. To loosely quote that little girl in Poltergeist: “He’s baaack!” I don’t think there’s any doubt Tiger Woods has figured out his swing (to the degree that anyone can “figure out” a swing). Will he win again? Absolutely. Will he win like he used to? I’d be shocked if he did. I once figured out that in the heart of his career, Jack Nicklaus won about 15% of the time he teed it up. The equivalent number for Woods was 30%, which means that he doubled the winning percentage of the greatest player ever. No one can sustain that type of excellence. The game is too capricious. Love him or hate him, Woods is the most compelling figure in the sport; there’s not even a silver medal. So about one thing, I’m 100% certain: We’ll all be watching. The number of rounds played in the U.S. has been down for several years in a row. The causes are multi-fold: Recession, unemployment, cost, and the inability to retain existing golfers or attract new golfers lead the list. My prediction is that 2012 will be the first time in several years that rounds played will show an increase over the previous year. April 2011 registered a 16% decline in rounds played due to abysmal weather across the nation. This not only put a damper on rounds played for the rest of the year, but it is also statistically unrepeatable. Therefore, when April 2012 shows a nice increase in rounds played, it will establish momentum for the rest of 2012. So go find your resident bearish golf expert and make a bet on 2012 rounds played. I guarantee a winner. An extension of an existing trend, 2012 will see the ceaseless colorization of golf, not just in apparel, where it’s already secure, but in clubheads and shafts, carts, balls, shoes, and all manner of other golf paraphernalia. I have nothing against a Rickie Fowler ensemble, even if you’ll never see me in one. (It’s also true that Rickie has a bit more game than I do.) And to the extent that it parallels attempts to help golf escape the stodgier elements of its image, great. In any event, the expanded use of color seems of a piece with ever-more-aggressive branding strategies. 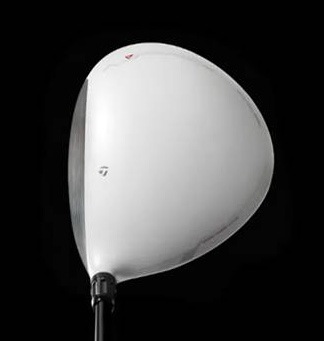 TaylorMade’s success with its white metalwoods has set the bar awfully high, but perhaps many other brands will soon be known as much by their distinctive color as by any other characteristic. Any predictions for 2012 must begin with Tiger Woods. Was his strong close to 2011 a sign that he’s back? Or was it a tease and he’ll go into full retreat again? I think Woods showed he’s still capable of turning it on from time to time, although I doubt he ever will dominate again. As for Jack’s major record, Woods has to win at least one in 2012 to have a realistic shot. He can’t go a fourth straight year without winning a major. Other than Augusta, the majors hardly set up for him: U.S. Open (Olympic Club), British Open (Royal Lytham), and PGA Championship (Kiawah). So if he doesn’t get the Masters, I don’t like his chances in the other three. Woods also should have one other goal: Play a full season. He hasn’t done that since 2009. Set aside the fact that the Mayan Calendar ends on Dec. 21, 2012. Golf is not a matter of life or death. It’s much more important than that. Apocalypse or not, Bandon Preserve, the short 13-hole layout at Bandon Dunes Golf Resort, is the course of the year. The U.S. team finally beats the Europeans at Medinah to reclaim the Ryder Cup. When asked, Jack Nicklaus continues to say that Tiger will surpass his record of 18 professional majors. Despite close calls at the Masters and the PGA Championship, El Tigre goes majorless in 2012. In the “there is no substitute for talent” category, Yani Tseng continues to dominate her sport unlike anyone before her. The late addition of Karrie Webb to a design team headed by Aussie legend Peter Thomson and Ross Perrett, one of eight firms short-listed to build the venue for the Rio 2016 Olympic golf course, is not enough to stop Jack Nicklaus and Annika Sorenstam from landing the coveted commission. Neither Tiger Woods nor Phil Mickelson will win a major, but each will have more screen time during them than the four winners combined. Annika Sorenstam will announce a comeback; Lorena Ochoa will not. Johnny Miller will say something critical of somebody; Gary Koch will not. 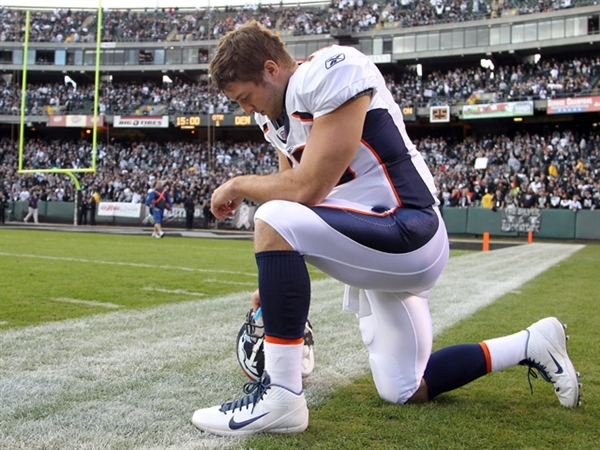 Greenkeepers will be up in arms over the new Tour trend of celebrating a good shot or crucial putt by Tebowing. Shortly after winning an event, a PGA Tour golfer will come out of the closet: He will lose no endorsements, and gain several new ones. Golf Channel will be forced to suspend “The Big Break: Potawatomi” after Billy “Three Gloves And A Ski Mask” Carbinelli skulls a shot that sends plexiglass flying at host Stephanie Sparks, nicking her carotid artery: Grateful for the suspension, the electors will vote Carbinelli into the World Golf Hall of Fame. I predict 2012 will become known as the year of “Back to Basics.” People have been forced to cut many if not all luxuries, working longer hours and often for far less pay. Quality time is of the essence. Which doesn’t mean we don’t still love the game of golf. It just means that perhaps we won’t be able to purchase that new driver we’ve been eyeballing, or we’ll stick with the same set of irons for one more season. We’ll hit the driving range a little more often, or perhaps walk 9 rather than ride 18. And while storied resorts like Bandon Dunes, The Greenbrier, and Cape Kidnappers have their place in the world of golf, so do affordable golf trips such as Fayetteville, N.C., or the Outer Banks , where lovely views and manicured conditions are par for the course(s). Golf is still on the menu in 2012, just not sporting such a pricey tag. I’ve finally realized that predicting who will win on the PGA Tour, especially the majors, is an impossible task. How could anyone have picked Charl Schwartzel to win the Masters, Darren Clark the British Open, Keegan Bradley the PGA Championship, or Bill Haas to emerge $10 million richer as the winner of the FedEx Cup in 2011? Not me! While my crystal ball is cloudy, it seems a safe bet that Luke Donald, the world’s No. 1 player and the leading money winner of the PGA Tour and the European Tour, should win one of the majors. He’s overdue. My choice is the U.S. Open. 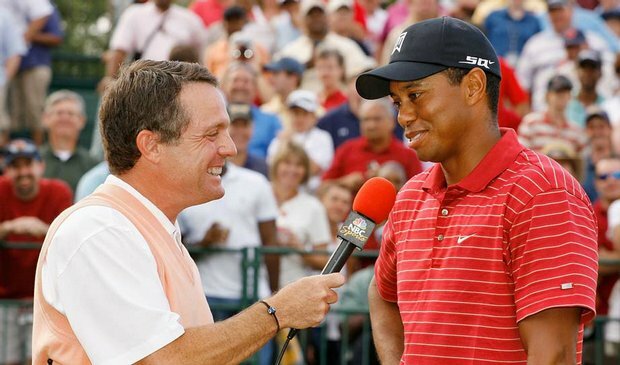 After reading mental coach Dayne Gingrich’s blogs, I’ve changed my views and will go with Tiger Woods to capture the Masters. (Go to www.coachyourmind.com to see what changed my mind.) I think more in the media will go along with this pick since it appears he has regained some of his magic. Lee Westwood is my choice to win the British Open. The PGA? How about another one of the young guys? Webb Simpson. Just don’t bet your family jewels on my picks. Plenty of pundits profoundly profess that Tour pros are no longer intimidated by Tiger Woods, and that the young guns in particular—think Fowler, McIlroy, and Ishikawa, among others—are immune to whatever feeble pressure he might now generate. 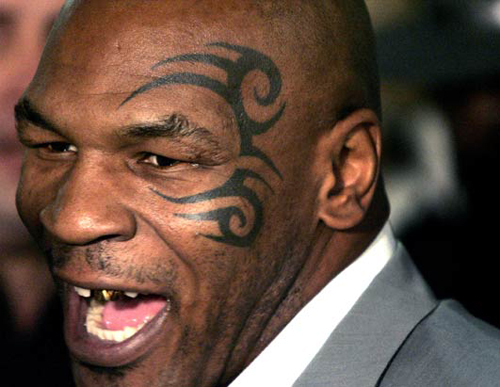 Of course, none of these kids ever climbed into a ring with prime-time Mike Tyson and probably think old tattoo-face is just some goofball character from The Hangover. Prediction for an upcoming weekend in 2012: Woods starts sticking greens like lawn darts and dropping one evil 15-foot putt after another. Galleries erupt like Romans in the Coliseum as lions take down yet another Carthaginian for dinner. Confidence wanes as the tyros feel a certain body part start to pucker, and tightly indeed. Between the roars, psycho-physiological impediment, and the heat, the once-cocky fall faster than a one-round Tyson payday pug. 2012 will undoubtedly bring more newfangled, techy training/teaching aids to the market, promising remarkable development of optimal muscle memory through repetitive use. Let’s all wake up, smell the freshly roasted coffee, and enroll in “Learning 101” in this new year. Our muscles do not have a memory: Our central nervous system does. Exposing muscles to a guided movement does little for learning; it’s your brain that learns, not your muscles. Our muscles are simply tools of the brain, so if we’re not cognitively engaged (focused, concentrated, aware) while practicing, we don’t learn a damn thing. Nonetheless, individuals, most of whom have zero expertise or background in the learning and acquisition of motor skills (think golf swing)—sorry, they’re trying to get into your wallet, not help you get out of your slicing habit—will continue to produce and brilliantly market such hope-filled devices, which wishful golfers shall continue to purchase. 2012 will be a pivotal year for Hall of Famer Phil Mickelson if he is to stay near the top. Tiger will win twice and keep things interesting when he doesn’t. 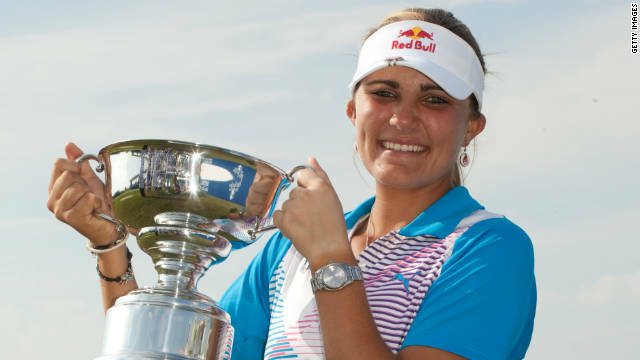 Lexi Thompson will continue to be the bright American light on the LPGA Tour and despite Rickie Fowler’s recent win in Korea, is he going to become “the Natalie Gulbis of the PGA Tour?” Yes, Fowler won’t win in 2012, but he will make the Ryder Cup Team. Europe will again prevail in the Ryder Cup in a very closely contested match. Private clubs will continue their decline and waiting lists to leave them will grow. Cosmetics and convenience over actual performance improvement will dominate various equipment offerings. There will be a new 18-hole scoring record at Augusta National weather permitting, and California will finally emerge as a major Golf Destination. My prognostications for 2012 include not one, but two major slams. Jason Day will win all four majors in 2012, beginning with a three-shot victory at Augusta and ending with a sudden-death win in the PGA at Kiawah. For good measure, Day will also win the Players Championship. 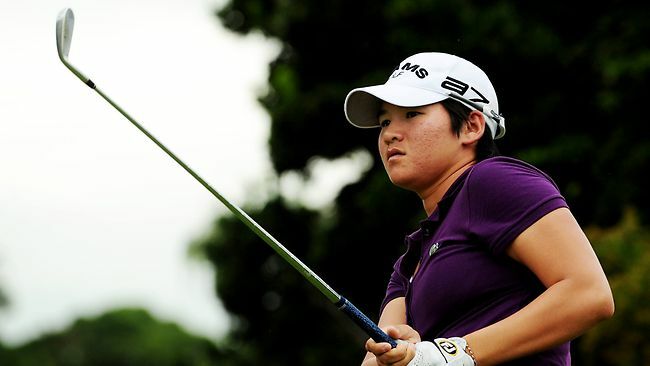 On the LPGA Tour, Yani Tseng will continue her dominance and capture all of that tour’s four major events by a cumulative total of 17 strokes. In other golf news, Tiger Woods will hire a new caddy before the season ends, Rory McIlroy will be seen in public with Pippa Middleton on his arm, and Arnold Palmer will team up with sandwich shop chain Pret A Manger in the U.K. to launch Arnie’s Sarnies. Jim stumbled into golf more than 30 years ago, first picking up a club while attending a week-long golf school at Pinehurst. That experience turned into his first writing assignment on golf, and in less than four years he was Executive Editor of Golf Magazine. He worked there for more than 18 years, serving as Editor from 1990 until leaving in 2003.